When it comes to Chronic Kidney Disease or CKD, the kidneys don’t fail all at once, but rather happens in stages that stretch over a few years. This aspect of CKD makes it possible for it to be treated and slowed down, if identified early, with the help of medication and lifestyle changes. 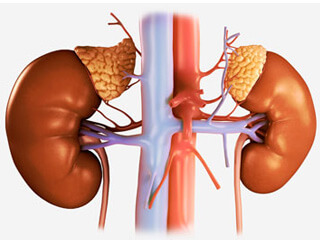 The various stages of CKD are determined by the Glomerular Filtration Rate (GFR). Measuring the GFR is the best way to gauge the scenario and determining the stage of CKD helps doctors resolve to the tests and treatments that each of these stages calls for. A mathematical formula is used by doctors to calculate GFR and this formula is based on the patient’s age, gender, race and the levels of Creatinine in their blood. Creatinine is the waste that is expelled from the muscles of the body. When the kidney function dips, creatinine levels escalate. Though there are 5 stages of classification, the kidney function is normal in stage 1 and is only slightly diminished in stage 2. As CKD worsens, dialysis or kidney replacement must be resolved to, so as to maintain one’s health. If you would like to know more about CKD treatment and kidney care, please do not be hesitant to get in touch with us. The earlier CKD is detected, the better it is. Do spread the word as well. Previous PostPrevious Is Dyslexia A Mental Health Problem?